Having trouble deciphering your bill? The Water Group can help you. We analyze the property's historical and current usage, taking into account rate increases, seasonal fluctuations, and programs you may be entitled to. Is it ever a water company error? 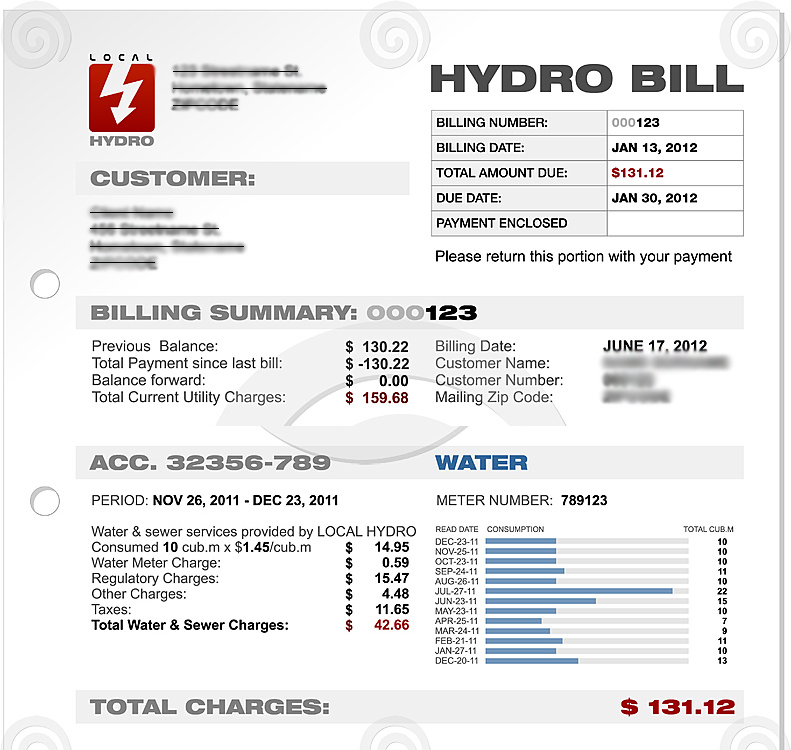 As water companies have updated their metering and billing systems, they've become fairly accurate. Even New York City's DEP, which was notorious for billing errors, has resolved most of its issues after changing the billing system in 1995. Still, in heavily populated urban areas, there is an error margin. We sometimes discover overlapping charges, overlapping billing periods, bills based on outdated property information reported by other city agencies. Be assured that if the mistake is on their end, we'll find it and negotiate a resolution with the water company. So then why are the bills so high? There may be a malfunctioning meter, or a leak in the plumbing that wasn't reported. The problem might even be behind walls or underground. Sometimes the meter and water pipes aren't synchronized, so the reading is incorrect. Perhaps occupancy has changed, and water usage has increased accordingly. For example, if you have a number of new tenants with young children, the water usage would obviously rise. On the other hand, if a fish store moves out of your mixed-use building, (and you don't have commercial tenants metered separately), your usage would decrease. Analyzing your bills is often our first step to helping you save. "I couldn't understand why I was getting such exorbitant bills for the Brooklyn co-op I own. I actually went down to the DEP, but the clerk I spoke to wasn't able to explain the charges on the invoice. A friend of mine recommended I try The Water Group before throwing all that money down the drain." "We searched the city's records and eventually found that $80,000 of the charges were actually a surcharge for not allowing the water company access for an extended time. In truth, the requests for access were being sent to a wrong address and never received by the property owner. Once we pointed that out, the DEP agreed to waive the entire amount."